The courts and secularists have turned the Constitution into a weapon to limit public religious expression rather than protect it, as originally intended. They have convinced many Americans that the Constitution is godless – that it is a secular document; but it is not. In fact, the Founding Fathers point out seven specific parts of the Constitution that establish its generally religious and explicitly Christian nature. Learn about these important clauses deliberately ignored by today’s secular-minded scholars and judges. Founding Father John Jay once wisely advised, “Every member of the state ought diligently to read and to study the Constitution of his country.” It’s time for us to do that and thus help restore the original intent of the Constitution. The world is obsessed with power. 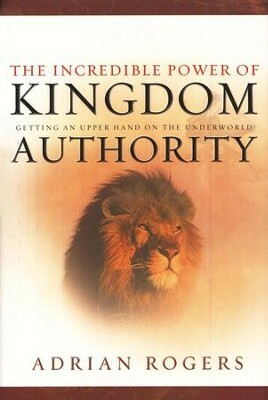 But the Bible reveals the most awesome power of all: that of Kingdom Authority, the same power unleashed when God raised Jesus Christ from the grave. The good news is that this same power, the greatest power in the universe, is available to every believer today. But most Christians never experience this power. They live in darkness and defeat of the world and its weaknesses. Satan and his minions work to keep them from the inheritance that is theirs. But Adrian Rogers, beloved Bible teacher and preacher of the gospel, can show readers how to experience the awesome power of God’s working in the world to build his kingdom.